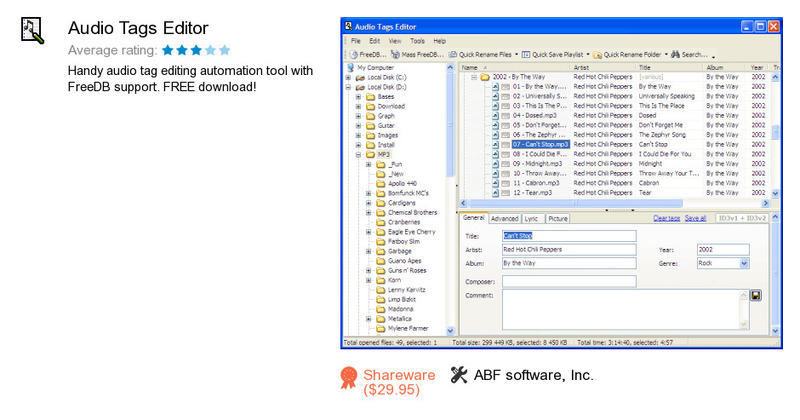 Audio Tags Editor is an application developed by ABF software, Inc.. We know of versions 1.9, 1.8, 1.7, 1.6, 1.5, 1.4, 1.3, 1.2. Version 1.999 is downloadable at our site. Audio Tags Editor package has a size of 1,983,888 bytes. ABF software, Inc. also publishes ABF Value Converter and ABF Outlook Express Backup.